This Seafood Restaurant's New Menu Has Flavours Of Thailand, Vietnam & Indonesia? A perennial fave for their range of Indian coastal cuisine, Coastal Macha has now introduced dishes from Thailand, Vietnam and Indonesia. We got a taste and suggest you head there – pronto! These guys have been wowing us with delicious coastal food from across India for some time now. Now their new menu is all set to give us a taste of the authentic fares from Thailand, Vietnam and Indonesia. Try the flavours from the mainland of Thailand with red and green curries, complimented with some fragrant jasmine rice or try the wholesome Thai dish of Pad ka Pra that comes loaded with rice and stir fried veggies or meat. For the flavours of Indonesia, go with Nasi Goreng and Mei Goreng. A wok-fried rice and noodles dish served with veggies, meat, seafood and a sunny-side-up, this one is a whole meal in itself. If you’re looking for something spicier, try their rendang with a side of masala rice. 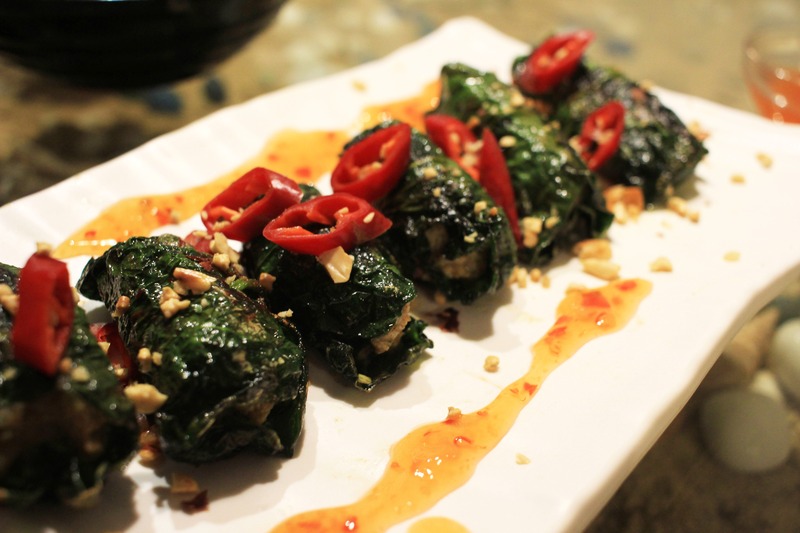 The Vietnamese Bo La Lot is an unusual meat-based dish that comes wrapped in betel nut leaves. Want something lighter? Try the broth meal of Vietnamese Pho that comes packed with noodles and various cuts of meat and veggies. Sign off your sojourn to Oriental coastal cuisine with the Lemon Grass Pudding. Most of the dishes are available both in vegetarian and non-vegetarian options and the prices range between INR 240 – 350. Check here for more deets. Have You Heard? The Coastal Macha's Back With A New Den And A New Menu!